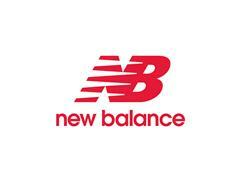 Boston, October 2014 – New Balance will introduce the fifth generation of its 1260 premium stability series, the New Balance 1260v5. Part of the NBx running line-up, the 1260v5 utilizes enhanced technologies and intelligent geometries to deliver premium stability in a luxurious, smooth, cushioned ride. The 1260v5 will launch in July of 2015 and the suggested retail price is $149.95. at impact. The lateral shapes and heel roundness are designed to react at impact and transition to midstance smoothly, while the T-BEAM technology assists in torsional stability in the shoe. a classy refined ride focused on the road ahead. The 1260v5 utilizes existing New Balance technologies and foams, and brings them to life in a new configuration by increasing cushioning and guaranteeing a stable ride. With a classy, tasteful, yet ultramodern upper package, the newest update to the 1260 series will have runners wishing they overpronated. OrthoLite® is a registered trademark of O2 Partners, LLC. All rights reserved.